We specialize in Extreme, XL, and XXL Bully Pitbulls. Our dogs have great structure and temperment along with flashy color. You can get your Bully Pitbull in Blue, Champagne, Fawn, Chocolate Tri, Blue Tri, Champagne Tri, Lilac Tri, or Purple Tri. We have GreyLine, Xtreme Bully, Gotti, Razor Edge, Royal Blue Generation and Iron Cross Bloodlines. If you are in search for a new family or companion, you are on the RIGHT website!!!! 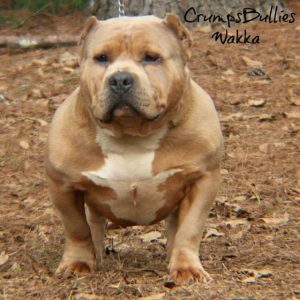 Crump’s Bullies produces top xxl xl extreme american pitbulls bully breeder huge massive monster tri puppies for sale in georgia. WE CARRY SHOW QUALITY BEAUTIFUL PITBULLS / AMERICAN BULLYS IN STANDARD, EXTREME, XL PITBULL PUPPIES FOR SALE. PLEASE CHECK OUT OUR PUPS FOR SALE PAGE !!! XL XTREME . WE CARRY THE BEST MOST BEAUTIFUL QUALITY BLOODLINES OUT THERE. 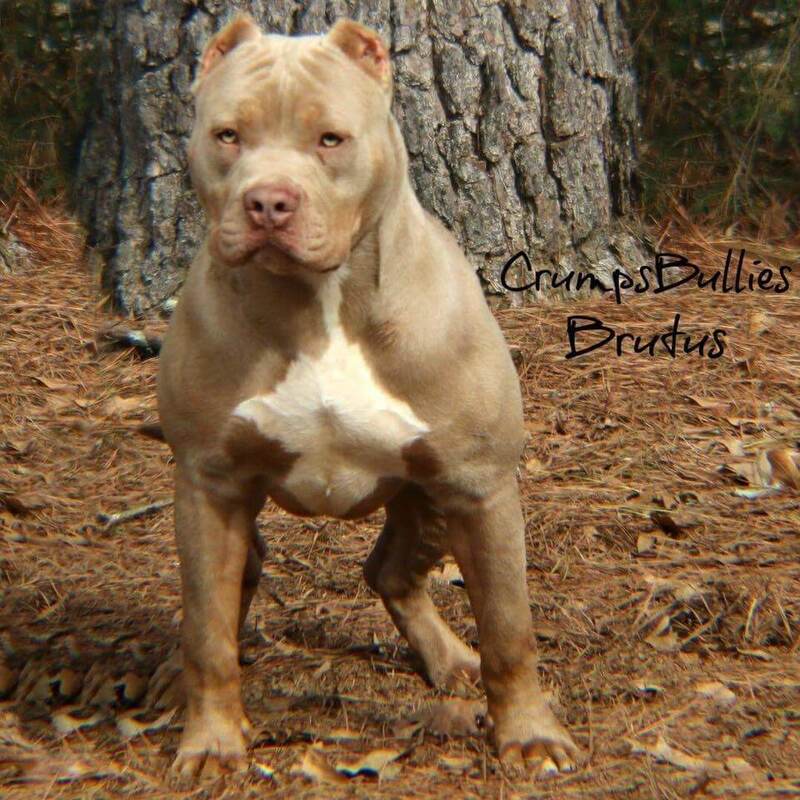 CRUMP’S BULLIES HAS SOME OF THE BEST UKC & ABKC CHAMPIONS . CRUMP’S BULLIES IS A AMERICAN BULLY BREEDER THAT STRIVES TO KEEP THE BEST XL & XXL LOOK OF THE PITBULL WITH BEST BULLY CONFORMATION. CRUMP’S BULLIES BREEDS BEAUTIFUL EXTRA LARGE PITBULLS / AMERICAN BULLYS WITH GREAT BEAUTIFUL STRUCTURE & BEST TEMPERMENTS, OUR NUMBER ONE GOAL IN MIND IS TO PRODUCE YOUR NEXT BEST FRIEND IN XL FROM AMERICAN BULLY PITBULL! NEW XL BULLY / PITBULL/AMERICAN BULLY BREEDINGS THIS SPRING AND SUMMER , DON’T MISS OUT ON SOME OF THE MOST BEAUTIFUL BEST XL XTREME PITBULL BREEDINGS EVER. CRUMP’S BULLIES PRODUCES SOME OF THE TOP , BEST PITBULLS /AMERICAN BULLY PUPS IN THE US AND WORLD WIDE. WE ARE A SMALL BULLY BREEDER THAT BREEDS TO BETTER THIS BEAUTIFUL BREED. WE PRIDE OURSELVES IN THAT WE OFFER THE BEST XL XTREME PITBULLS IN THE BULLY BUSINESS ! 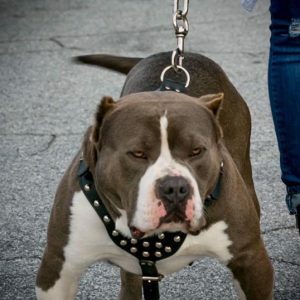 View cart “Adult Bully Pitbull for Sale (Crump’s Bullies Blaze) XL Tri Carrier” has been added to your cart.